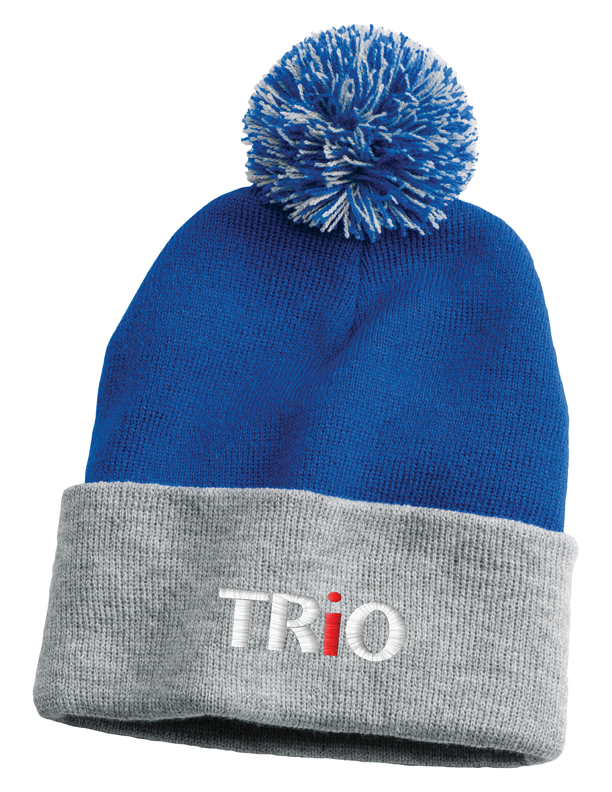 100% acrylic knit beanie. Topped with pom-pom. 12” deep.